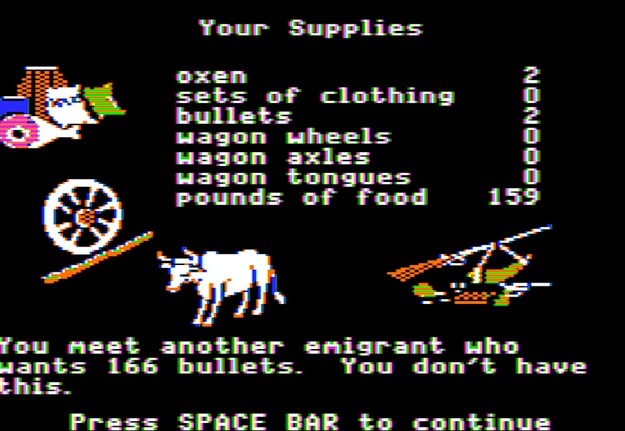 Earlier today I came up with this blog post idea while reading THIS article about a museum in Portland that offers guests the opportunity to play a REAL LIFE game of the Oregon Trail. For those of you that don’t know, the Oregon Trail was one of my FAVORITE things about the middle school computer lab. The object of the game was to guide your covered wagon from Missouri to Oregon – while hunting for food and avoiding scary diseases like typhoid. You can still play the game online here. 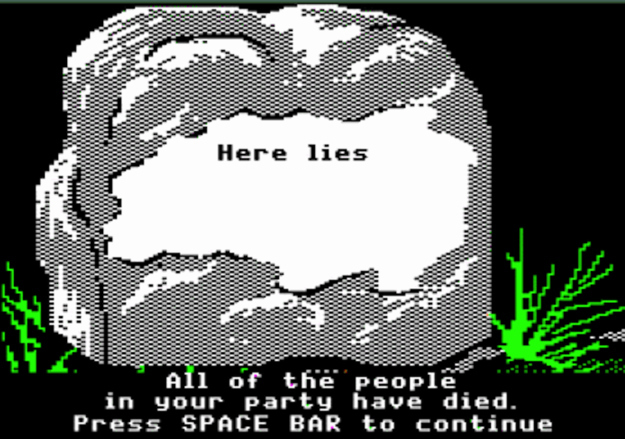 Like I mentioned, the idea of this blog post came around as I was reading about a real life game…so I thought, why not have a real life Oregon Trail THEME PARTY! Here’s how this could play out. Most of these ideas could work for adults and kids! Send an invitation to your friends asking them to travel with you to Oregon. Ask guests to dress in theme! This party calls for bonnets and long skirts for the ladies and overalls and flannels! Roll out the Welcome Wagon for guests! Decorate with wagon wheels, squirrels, deer heads and tents will set the trail mood. Make signs for the popular destinations along the trail like Independence, Ft. Kearney, Chimney Rock, Ft. Bridger, Ft. Walla Walla and Willamette Valley. Just like the game, when guests arrive have them choose a profession: banker, carpenter or farmer. Give guests faux money to use at the general store. Create a general store! Allow guests to exchange money for clothing like these cowboy hats, coonskin hats, bandanas, toy guns, food and oxen. Create a gold mining station. Sift through sand for gold coins to be used in the general store. A lot of great men and women were lost on the trail to diseases like dysentery, typhoid, cholera and exhaustion. For those that don’t make the full trek, print out tombstones for guests to write a heartfelt messages. 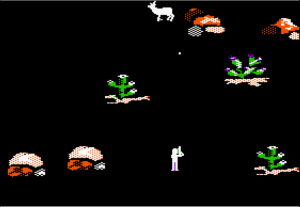 Hunting was super important in the game. Play pin the target on the deer and bison. Build your own mini covered wagon and try and float it across a baby pool. 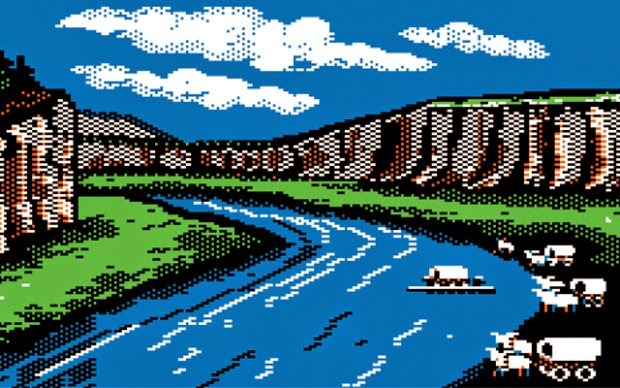 There is also an Oregon Trail drinking game online that is rather rad. You also can’t go wrong with an old fashioned sack race! Remember only 100 pounds can be carried back to the wagon! Food was essential to survival on the trail. Serve favorites like Bison, deer, elk, rabbit, squirrel, and bears. Incorporate these foods into your party with things like Buffalo wings, Bison burgers and a trail mix bar! For drinks…you are in luck! Willamette Valley is a super popular wine region! Pick wines from the area and add Oregon beers! Prevent the common trail diseases with jell-o “shots” in syringes! You could also create a spinning wagon wheel to land on a shot! There are always snakebite shots too!